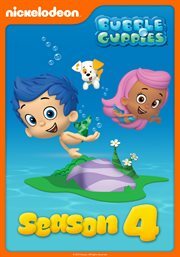 The item Bubble guppies, Season 4, Nickelodeon, (electronic resource) represents a specific, individual, material embodiment of a distinct intellectual or artistic creation found in Sno-Isle Libraries. Jump into this underwater classroom with Molly, Gil and their fishtailed friends. Preschoolers can learn school-readiness skills like science, math, literacy and more through songs, dances, and laughs!